So…what is your gender, actually? 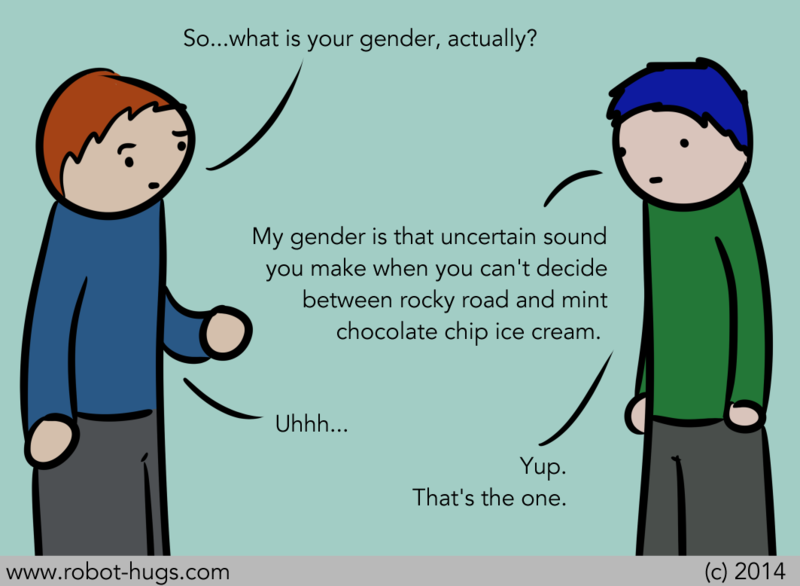 My gender is that uncertain sound you make when you can’t decide between rocky road and mint chocolate chip ice cream. I’ll tell you what my gender is not, though – it’s not Tiger Tail. I do have some standards.